Hotpoint makes a variety of products, including washing machines. Hotpoint is specific about the installation of its machines. 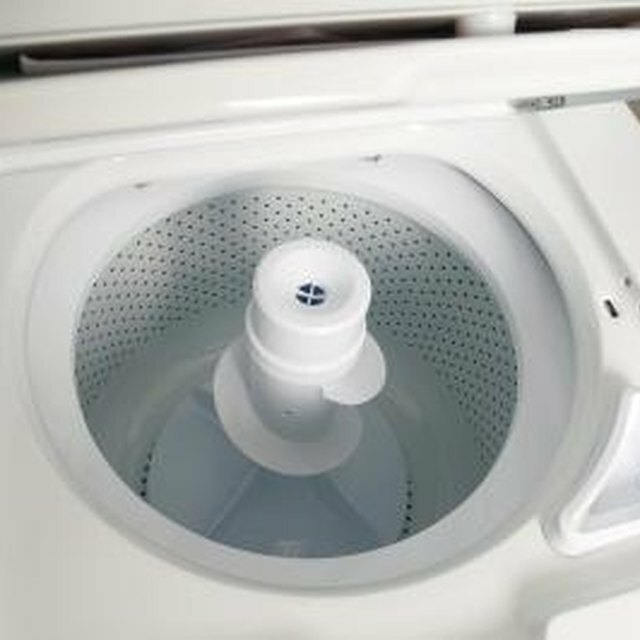 If the machine is not installed properly in your home, the washer may not perform properly. If the agitator will not spin, it doesn't mean that there is a broken component. Before replacing expensive parts of the machine, it is a good idea to troubleshoot common issues with the agitator, as outlined in the steps to follow. If the washer is still under warranty, call Hotpoint for advice. A washer that will not spin may not have been installed correctly. Check that the drain hose is installed properly, according to the instructions included with your machine, if the washer will not spin after the first drain cycle. Pull the drain hose out and inspect it for blockages. Remove the drain hose from the machine and look through it. Remove any clogs with a clothes hanger. Press the rinse/hold button to see if the machine is paused. Remove the clothes load from the washer and try to wash again with a smaller load. If the load is too large or off balance, the machine may not drain properly. Check the lid switch on the machine and see if it is broken or bent. The lid switch give the washer a signal that the machine is closed. Call a service professional if the issue continues after you've tried all of these troubleshooting methods..